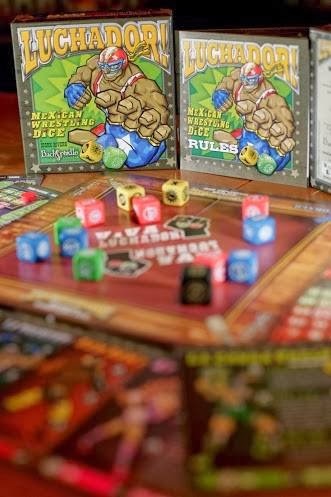 Everybody is talking about Luchador, a dice game based around the over the top world of Mexican wrestling. I wanted to know more so got in touch with Mark Rivera, the game’s designer, where we had a little chat about the game, grognards and people who don’t get fun. 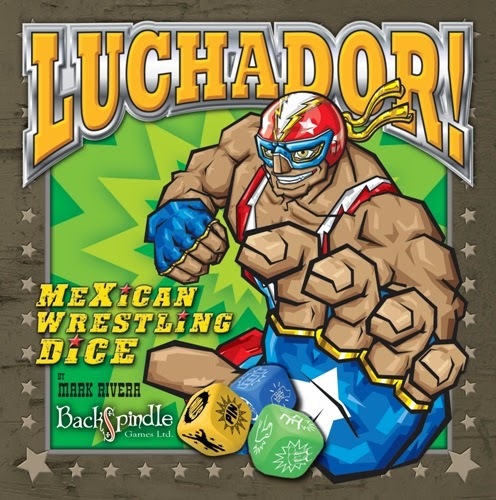 So tell me about Luchador the Mexican dice game? So Luchador is a something I came up with about 2 years ago. I’ve always been a wrestling fan since I was a kid and one of my friends mentioned how it would be really great fun if someone came out with a really fun wrestling game. I wanted to come up with something that was fairly accessible because in the back of my mind I thought this potentially has a huge following, especially when you start thinking about the WWE and the world wide following that it has. If it could be done right the potential’s huge.My first thought was it has to be accessible because a fair amount of fans might be none gamers, so I thought 'why not a dice game' and went from there. I worked on if for around 9 months or so, feedback, play testing and what have you. It was originally going to be called ‘Fantastical Wrestling Dice’. I know Backspindle Games and they were helping me work through the initial rule set and I said “do you guys want to publish it?” and they took it away, play tested it a whole bunch and came back and said, yes, this is going to go somewhere and we can do something really good with this but said let’s do this with Mexican wrestling because it’s even crazier than normal wrestling. If you ever look at the videos on YouTube they’re crazier than WWE because they do a lot more flying moves and jumping off the top ropes. When you watch it you think how do they do that and survive, it’s amazing. So we decided with all the masks and the folklore it really appealed to make it more attractive that way. I worked very closely with the guys from Backspindle and they had had a pretty good success with Guards Guards. I had gotten to know them and really trusted them and what they were telling me so decided to push on with the Mexican theme, keep it real simple, keep it dice oriented and off we went. So it was always going to be a wrestling game right from the very beginning? Right from the start I had to do this wrestling game, to get it out of my system I guess. 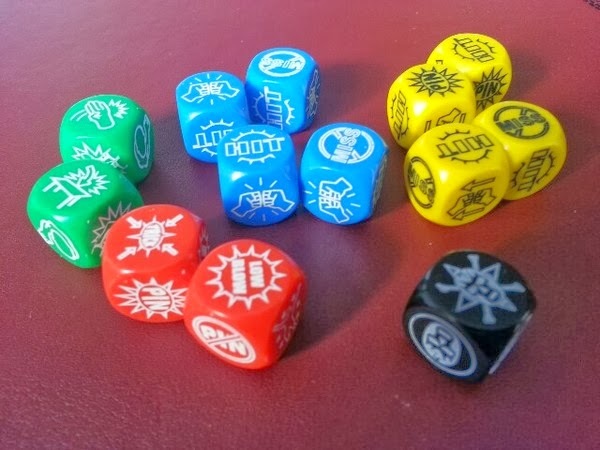 We know you as being the Boardgames in Blighty Blog and its quite heavy wargames focused, quite serious and you’re a heavy wargamer and for you then to produce this brightly coloured dice game, seems to be almost polar opposite? 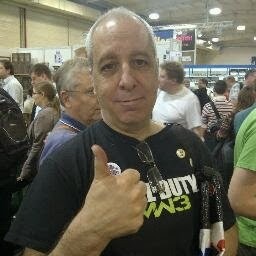 It’s funny, I’m a wargamer at heart, a grognard definitely but I also like Ameritrash and I like fun interactive games. I’ve got a game night tonight and the best thing about the game night to me is about interacting and having a good old laugh, so I quite like the interaction stuff and I like wrestling. I’ve got this side of my gaming where I like fun fast games; I like good card games, that kind of stuff. My heart lies with wargames and themed games and I guess it’s all thematic kinds of games that really get my interest. I like fantasy stuff and war gaming and I wanted to make sure that Luchador was evocative and very theme oriented to bring it to life so there’s lots of screaming and shouting when you play it. You mentioned you’ve been working closely with Backspindle games and gone straight to publishing, did you ever consider Kickstarter? We were going to go to Kickstarter when we first did it but we did our first print run for Essen last year. They were that confident that this would do that well they said let’s just go for it, let’s make sure it’s ready, let’s make sure we can deliver ready for Essen. They got their act together really well, working with a Chinese publisher and it was great. We had an initial print run of, I think about 1000 copies, and it’s pretty much sold out. There are a few copies still floating around. I think Game Salute still has some, there are still some at the shops in the UK but that’s pretty much it so we’re at the point now when we’re about to do the second edition which is really exciting because it looks like we’re going to do Kickstarter with this one. Not officially, I’ve got about another half a dozen ideas floating around that I need to take some time to develop but we’ve been involved in the second edition of Luchador. So what else is extra in the second edition? There’ll be advanced rules, so there’ll be new matches; different kinds of matches and tag teams. There will be more sophisticated special moves; the core game is based around the core dice when you’re rolling your hit dice and score damage or you can trade in hit dice to role the Luchador dice and do spectacular moves but every wrestler is the same. We did that deliberately to make it very accessible to avoid putting off casual gamers but for the second edition we wanted to add another layer and fans of the game have been asking for it. We’ve got some really good stuff we’ve been play testing and getting very good feedback on. We’ve also been working with Game Salute so we’re thinking about what we can do via stretch goals and such. Are there any expansions planned or is the second edition effectively the expansion? Will we be able to play this at the UK Games Expo this year? Yeah there’ll be copies there, we’ll have a table set up and we may be wearing wrestling masks. We did last year and it was really good fun. It was very well received last year, certainly the loudest table in the expo, people kept coming across to tell us they could hear us across the hall. Am I right in thinking this is your first game? Second, I co-designed Ace of Spies with Michael from The Little Metal Dog Show. How is that going, I heard a lot of press during the Kickstarter but it’s gone a little quite? I think the initial print run was just Kickstarter. It did pretty well. It’s one of those games where, like Luchador is really, it’s all about sticking it to each other. A lot of gamers complained there was too much interaction, but it’s a game about spies, they’re going to be stealing stuff off of each other and trying to stop each other. With this being your second game is there anything during the development that has taken you completely by surprise? It all came together amazingly quickly. Games notoriously take a long time to develop but this all came together in about nine months, which is unusual even for something as relatively simple as Luchador. There’s always a worry that people aren’t going to buy into it but the success has taken us by surprise. We’re having people do videos where they dress up as Luchadors. We’ve just recently had some Luchadors in the US become fans and they’re going to do some promotion in the future. We’ve got a fantastic community building up which is a lovely surprise who are always suggesting new matches and other things to add. One surprise is that there are certain people; let’s call them the more serious gamers, who didn’t quite understand the randomness. Of course it’s going to be random, it’s a dice game but I think we need to make it clearer that there’s more depth than meets the eye, something that wrestling fans got right away. Those who don’t really have an interest in wrestling have struggled with that. My thanks go to Mark for taking the time out to record this interview. If you want to know about Mark you can read his blog Boardgames in Blighty, follow him on twitter @blightygamer or read up the latest Luchador news on the Luchador Facebook page.